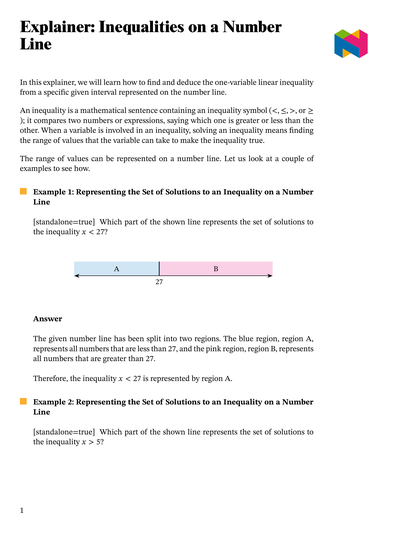 In this lesson, we will learn how to find and deduce a one-variable linear inequality from a specific given interval represented on the number line. 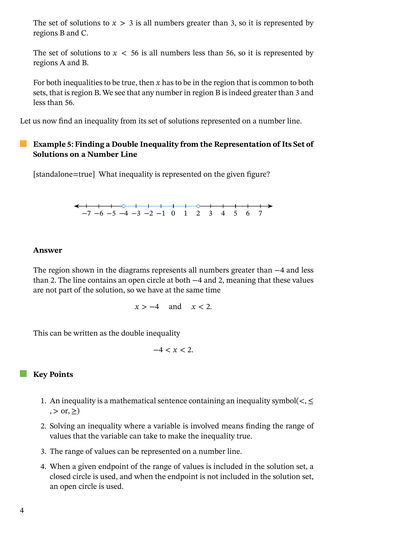 What inequality is represented on the given figure? Which part of the shown line represents the set of solutions to the inequality 𝑥 > 5 ? 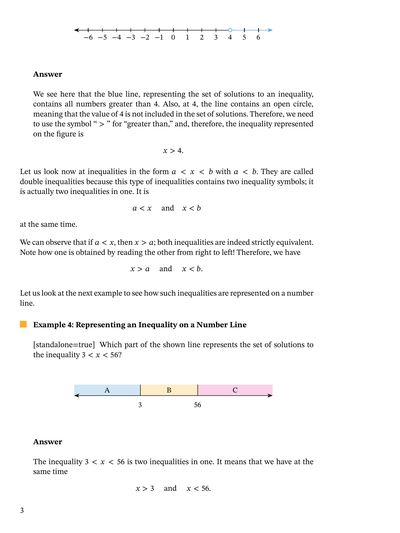 Which of the following inequalities have been represented on the number line? Which part of the shown line represents the set of solutions to the inequality 𝑥 < 2 7 ? Which of the following diagrams represents the inequality − 2 ≤ 𝑥 < 1 ? 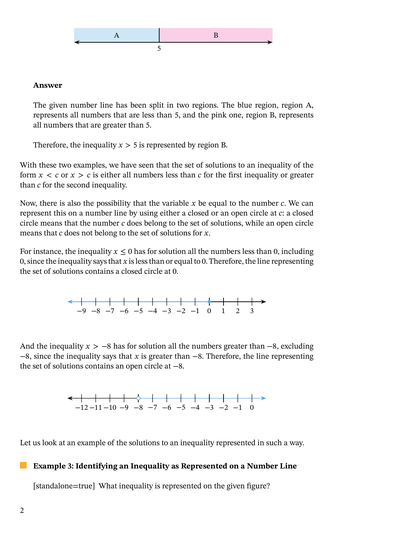 Which inequality is represented on this number line? Which part of the shown line represents the set of solutions to the inequality 3 < 𝑥 < 5 6 ?